Except for small numbers of stereo receivers and standalone speakers, one can find only few AirPlay-compatible accessories. Contrary to Apple expectations, not many manufacturers have adopted Apple’s wireless technology. A Japanese blog, Macotakara known for leaking inside stories from Apple camp recently reports that the Cupertino-based Company is preparing to reassess wireless connectivity in iOS platform. 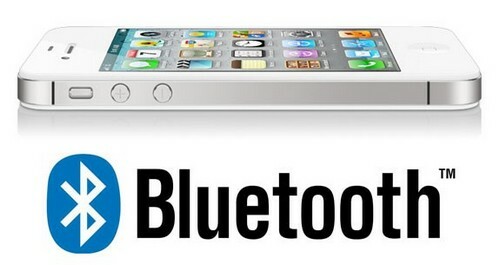 The company’s major focus is now shifted on the Bluetooth technology. Last week, Apple hosted a MFI (Made for iPhone/iPad) Conference in Shenzen, China, where the tech giant proclaimed that it is going to begin offering a new connectivity chip to push more iOS-compatible accessories, reported the Japanese blog. The new chip will enable hardware to communicate with iOS device through AirPlay, Wi-Fi and Bluetooth. If you possess a good memory, then you may remember that all its recently released products including, MacBook Airs, Mac Minis, and the latest iPhone 4S, have support for Bluetooth 4.0. Apple has always been of the view that the low-energy wireless technology would somehow be the ultimate future. We have already heard rumors claiming that the company’s next generation Apple TV will be released with this technology. Moreover, some rumors also suggest that Apple is working on an AirPlay-over-Bluetooth that will remove the need of Wi-Fi network altogether. This is major news for a couple of reasons. Firstly, we can expect to see a good number of wireless iOS accessories in the future. Secondly, it will help boasting the Apple TV gaming. Despite the limited number of Apple TV-compatible games, the existing AirPlay-over-Wi-Fi solution available for a variable gaming experience. With the introduction of Bluetooth-compatible accessories, one will enjoy a lower-latency connection. What we can say all about this to expect a lively future of iOS.